This review is for the "Deluxe Edition" release that contains the "live from Kennedy Centre" material. Released in 1971, it is impossible to overstate the seismic effect this album had socially, culturally and musically. Marvin Gaye told Motown he wanted to do a Stevie Wonder and go his own way and release proper "albums" of his own material. This is what he came up. Now, the hundreds of Motown three minutes and less singles of the 1960s were indeed ground-breaking pop music heaven. However, this is a different beast altogether. 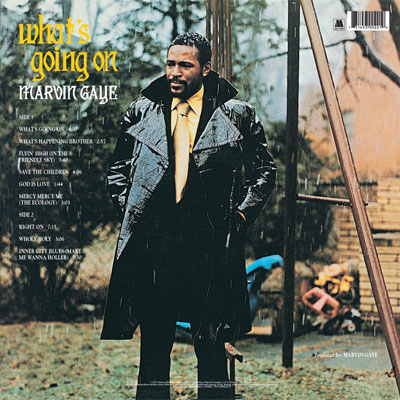 Building on the social conscience songs that The Temptations had begin to record in the late 60s, Gaye tapped in to both the urban, dispossessed African-American experience and also the pointless horrors of the Vietnam War with this piece of work. It was both a diatribe against contemporary social and political conditions but also an extolling of God's love. At times, in the middle run of songs it can get maybe a little too "preachy" for some tastes, but killer tracks like "Inner City Blues", "What's Goin' On" (composed by songwriter Al Cleveland) and the wonderful "Mercy Mercy Me" override that. A lot of credit must go to the musicians on this too. I have read somewhere that while Marvin had the ideas and the concept a lot of work in the album's creation was the result of the musicians involved taking over. The Funk Brothers were there and some of Gaye's own personal choices. Under a cloud of marijuana they created a masterpiece of laid back protest. That's the thing with this album. It protests in the strongest possible terms without thumping a single tub. The remastered sound on this release is warm and bassy, as it should be. For me, one of the main benefits of the Deluxe Edition is the live cuts. The sound is not 100% but it is certainly very listenable, you feel you are there as Marvin extends many of the tacks and there is a lot of ad-lib which brings new life to the songs. 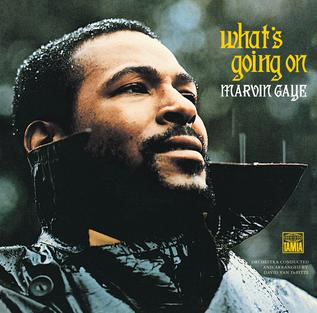 There are not too many Marvin Gaye 70s live albums around (a couple from 1974 and 1977) so this fills the gap from this notable era in his career. He doesn't perform "Mercy Mercy Me" which is a shame though. Interesting how he plays the "Sixties Medley" intro to the live show in a laid-back "What's Goin' On" groove. "Ain't Nothing Like The Real Thing" is lovely. Some impressive piano on this medley too. There are other interesting rarities in various mixes of the songs which are always worth a listen, although not essential.